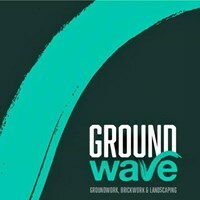 Ground Wave Groundworks Ltd - Driveways/Patios/Paths based in Bracklesham Bay, West Sussex. My name is Olly and I am director of Ground Wave. We are made up of a small team of professionals all with experience in Groundwork. I have been running my business now since March 2018 focusing solely on Groundworks. Previously, my work lied in all-round building work for my father's building company for 9 years. I have vast experience in digging foundations, soakaways, ponds, driveways.